How real estate can take advantage of 4D & 5D BIM in India to save costs and efficient construction without delays. What is 4D and 5D BIM? The construction of buildings requires careful synchronization of numerous disciplines in an orderly manner in order to not only complete a project on time and to customer specifications, but also within project budget. Companies can face significant challenges as they carefully manage electrical systems, gas piping, plumbing, firefighting and heating and air conditioning systems (HVAC) plus the infrastructure of large, complicated buildings. During this process, any contradictions between systems must be resolved which can lead to reworking, delays, and increased cost. These problems can be avoided with the use of 4D and 5D BIM technology or Building Information Modelling. BIM incorporates not only a 3D representation of the building’s infrastructure but also timely factors (known as 4D BIM) and cost-related information (known as 5D BIM). By linking relevant data with the design aspects, ongoing construction clashes can be identified and resolved at the design stage thereby vastly reducing unforeseen time or cost expenditure. What are the benefits of 4D and 5D BIM in India? Time is money, and this is certainly true in the real estate industry. The need to build structures safely and quickly, without increasing additional costs is increasingly necessary to meet growing demand. In general, BIM usage avoids repeating the same processes by identifying patterns allowing processes to be carried out simultaneously thus reducing the time of construction. In Project Management terms, it is also known as Overlapping of Activities. Any potential issues can be identified and resolved before work begins in the real world. Firstly, 3D BIM produces a detailed digital 3D model of the construction (whether building or infrastructure) is produced. This includes all systems such as electrical, piping and HVAC, telephone and computer networks plus any other desired components. The whole life cycle of the project is included from breaking ground through the building process, the daily use and maintenance of the building right through to its demolition. Analysis at this stage identifies design problems allowing for their resolution before work starts, thereby reducing potential delays due to reworking as the construction progresses. 4D BIM takes this a stage further by incorporating time-related factors, so that the sequence of construction can be visualized much more clearly and potential conflicts will become apparent, solutions can be sought and applied before risks becomes issues. Scheduling conflicts and timing issues such as out of sequence work can be foreseen. There are many advantages to incorporating 4D BIM modeling. Due to the increased awareness gained by being able to visualize the project better, lead time is improved, the overall construction time may or can be reduced, and progress can be monitored against construction targets. These are achievable because of the increased amount of information that allows for project optimization and better communication between everyone involved using a small piece of open-source relevant software. Even with all this additional information, there is room for improvement. What can 5D BIM add to the Indian Real Estate? In a nutshell, cost analysis. Remember, you already have a detailed digital 3D model for the life cycle of the project, 4D BIM can be built on this and can streamline the project, resolving problems and reducing delays that obviously impacts the cost. With the incorporation of costs, both capital and ongoing running costs are once in use and you have a wealth of extremely useful information. Consider being able to estimate capital purchase cost, installation cost and running costs of each component as well as the cost of future replacement, all of this linked and updated automatically. A result is a powerful tool for managing actual cost versus predicted spend for the complete project and ongoing budgeting. Why has there been slow usage of BIM in India? The benefits are absolutely clear, yet in India, the uptake of 3D BIM is slow. Why is it so? The short answer is technological limits that have previously restricted the use of 3D BIM to a few select firms which often made it too expensive to be generally accessible but this is changing, and a growing number of companies now have the skills to offer BIM services which are driving the cost considerably down thereby increasing the heat of construction competition. This has allowed more AEC companies access to the BIM technology in order to deliver high-quality products at lower costs, which in turn proves the value of BIM services and makes them increasingly desirable. As demand increases the remaining issues of lack of process standardization and software compatibility are also being resolved which can only increase BIM’s accessibility and therefore use. Where has been BIM used successfully? Despite its slow start, BIM technology is now being used on a vast number of Indian construction projects, some notable ones include a Power Plant covering a huge site in Vidarbha, an IBIS 4-Star Hotel in Chennai and a corporate office in Noida. Impressive because of their reduced construction schedules. Three very different projects challenged by their size, quality or schedule all are completed successfully using the BIM Technology. India has embraced the increasing use of BIM technology over the past 20 years, particularly seeing the advantages of 4D and 5D BIM technology which has allowed the AEC industry to keep pace with growing demand for construction in India. Its use is growing in all areas of development from residential and high rises to industrial and infrastructure, by firms large or small. The advantages of this technology are clear to its users, reduced costs and efficient building, once experienced why would they use anything else? We offer BIM or Building Information Modeling Services based in India. We currently serve Singapore and India and wants to establish strong presence across the globe providing utmost quality and performance. Vor achtzehn Jahren haben Dipl. Ing. Klaus Adler und Dipl. Petar Tomic Ihr Start-up TAPKO aus der Taufe gehoben. Die Kompetenz verhalf dem Unternehmen einen Traumstart mit erstklassigen Beratungs- und Entwicklungsprojekten. Beide Gesellschafter waren bereits seit Jahren mit interessanten Entwicklungen im EIB / KNX System betraut und haben maßgeblich beigetragen dort Standards weiterzuentwickeln. TAPKO Technologies erarbeitete sich in der KNX Szene schnell den Ruf eines Kompetenzzentrums und die Firma wuchs kontinuierlich. 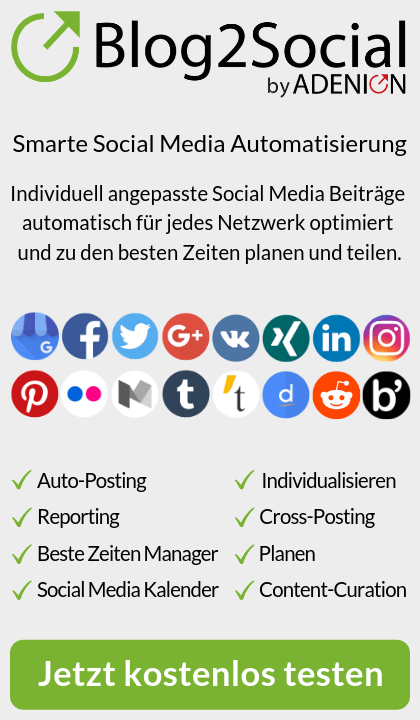 Über die Jahre veränderten sich zwar die Anforderungen des Marktes immer wieder, doch TAPKO konterte dies erfolgreich mit Technologie-Highlights, zusätzlichen Firmen-Partnerschaften und herausragenden Mitarbeitern. In diesen Tagen feiert die TAPKO Technologies GmbH ihren Geburtstag. Die Geschäftsleitung dankt allen Kunden und Partnern für die bisherige Zusammenarbeit. Das Unternehmen befindet sich aktuell in Messevorbereitungen für die „light & building 2018“ in Frankfurt. Mit Sicherheit einen Besuch wert. Research and technology are evolving fast and constantly changing. Today, developers are driven to find synergies across a broad range of factors, and especially energy efficiency and sustainability. The South German company, TAPKO Technologies, has been at the forefront of building automation innovation for over 17 years. Even before this, the founders had already spent ten years helping to pioneer the fields of building and control electronics (EIB, European Installation Bus) before establishing their company in Regensburg. Today it is a full member of the KNX Association and ISO 9001-certified. TAPKO has a European – if not international – character, despite being a modest, medium-sized KNX specialist in Germany. This is typified by the company“s close collaboration with a strategic partner in France, production facilities in Croatia, and an impressive new website in 14 languages. TAPKO develops visionary KNX technology (http://www.tapko.com) and delivers a comprehensive range of services. Renowned KNX brand manufacturers come to TAPKO for its expertise and sophisticated components. TAPKO accepts no compromise in the development of KNX devices, instead aiming to make its vision a reality. Petar Tomić, Managing Director at TAPKO, is guided by the motto: „Whoever thinks ahead, stays ahead.“ Taking this approach, the innovative hardware and software company developed the modular KAIstack and many other integrated services. TAPKO offers consulting and third-party development, all the way up to finished components. Alternatively, you can order the company“s own products as an OEM or non-label, such as: line or media coupler, USB interfaces, multi-I / O. Additionally available are: universal TAPKO modules, technology solutions and platforms, and EVAL boards for individual product lines. With its European production, TAPKO is both a high-quality and reliable supplier for small and large production volumes. In a separate KNX testing laboratory (TestLab), KNX products can be certified. Here KNX products are tested in accordance with interoperability specifications, or offered development-related product inspections. Get an initial overview on the mobile-enabled and multilingual website, TAPKO.COM (http://www.tapko.com). 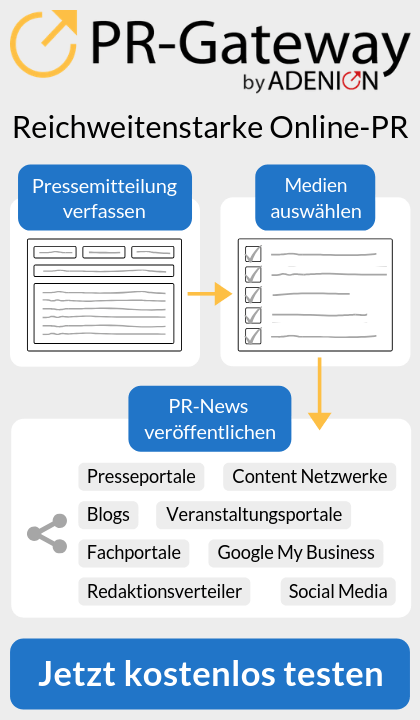 From there, prospects are forwarded to greater detail available in German and English. You can also call the Marketing and Sales Department direct. International inquiries are welcome. Auf der diesjährigen internationalen Messe light+building zeigt die MAZeT GmbH – Entwicklungs- und Fertigungsdienstleister für Embedded Systeme und Optoelektronik – vom 13. bis 18. März 2016 am Stand G10 in Halle 4.0 ihre neuesten Produkte und innovativen Sensorlösungen zur Regelung von LEDs. Alle zwei Jahre präsentiert sich die Firma TAPKO Technologies auf der Leitmesse für Licht und Gebäudeautomatisierung. Alle zwei Jahre steht das Team um die beiden Geschäftsführer Petar Tomic und Klaus Adler, Kunden und Interessenten Rede und Antwort. Besonders dieses Jahr ziehen die beiden CEO“s eine positive Bilanz. „Kunden führender Marken interessieren sich weiterhin für unsere Entwicklerleistungen (siehe Entwicklungsdienstleistung )und ordern regelmäßige Neuentwicklungen und Produkt-Updates, aber auch unsere hauseigenen OEM-Produkte werden zunehmend von einem internationalen Publikum wahrgenommen“, so Dipl.-Ing. Petar Tomic. Die Leistungen von TAPKO sind in den letzten Jahren enorm gestiegen, denn das süddeutsche Unternehmen stellte fortwährend Experten ein, die innerbetrieblich weiter geschult wurden und durch das 25-jährige Erfahrungspotential der beiden Geschäftsführer profitieren. „Wir entwickeln innerbetriebliches Wissen weiter und zwar vor, während und nach Projektentwicklungen, so sind wir häufig anderen Mitbewerbern voraus“, stellt Dipl.-Ing. Klaus Adler klar und ergänzt, „gerade stellen wir uns den zukünftigen Herausforderungen der Funktechnologie in der Gebäudeautomatisierung und haben auch auf der diesjährigen Messe unseren Produkt- und Wissensbereich bei RF und RF+ präsentiert“. TAPKO hat sein Headquarter im bayerischen Regensburg vernetzt. Ein Partnerunternehmen in Frankreich, eine Produktion in Südeuropa sowie ein TestLab sind entstanden und sichern Kunden eine schnelle Abwicklung sowie stetige Know-how. Auf der diesjährigen Light & Building ging es TAPKO aber nicht nur um Wissen, Anwendungsbereiche und Produkte der KNX-Technologie, sondern auch um den zwischenmenschlichen Kontakt. In vielfachen Gesprächen wurde diskutiert und gelacht. TAPKO kam es auch darauf an, die Personen, die hinter zukünftigen oder auch laufenden Aufträgen stecken noch besser kennen zu lernen. „Ein Projekt ist so gut, wie die Personen die es gemeinsam entwickeln, steuern und abschließen. Der Erfolg kommt immer noch aus einer guten Zusammenarbeit“, so Petar Tomic resümierend. TAPKO befindet sich seit rund 15 Jahren auf einem dynamischen Wachstumskurs. Die Kunden internationalisieren sich zunehmend und TAPKO sieht sich mit dabei. Wer das TAPKO Team auf der Messe erlebt hat versteht, was es heißt: Gebäudeautomatisierung ist mehr als nur Technik – es begeistert Menschen! Die TAPKO Technologies GmbH wurde im Oktober 1999 von Klaus Adler und Petar Tomić gegründet. Die beiden Geschäftsführer Dipl.-Ing. Klaus Adler und Dipl.-Ing. Petar Tomić gehörten bereits 10 Jahre vor der Gründung der TAPKO GmbH zu den treibenden Kräften der EIB/KNX Szene. Die Firmenzentrale des Unternehmens befindet sich im süddeutschen Regensburg. TAPKO ist ein vollwertiges KNX-Mitglied und ist nach ISO 9001/2008 zertifiziert. Den Sprung von einem deutschen KNX Spezialisten zum europäischen und internationalen Markenhersteller hat TAPKO über seine Innovationskraft und den Zusammenschluss mit Partnerunternehmen erfolgreich vollzogen. Durch diese Kooperation mit Partnerfirmen an deren Aufbau Tapko maßgeblich beteiligt war ist das Unternehmen in der Lage von der Entwicklung bis hin zur Fertigung alle Prozessschritte von KNX-Komponenten aus einer Hand anzubieten. Das Portfolio umfasst die komplette Dienstleistung für Produktidee, Produktentstehung sowie Fertigung. TAPKO kann auf Kundenwunsch alle notwendigen Komponenten und Dienstleistungen hierfür beisteuern, bis hin zum eigens betriebenen TestLab. 230-Volt-Fachhandelssortiment als Premiere auf der weltgrößten Messe für Licht und Gebäudetechnik vom 30.3. bis 4.4.2014 in Frankfurt. Schalten per Berührung liegt im Trend. Nicht nur Tablet-PCs und Touchscreens lesen dem Anwender die Wünsche von den Fingerkuppen ab, auch die neuen Glasschalter des Profi-Sortiments HK i8 von Kopp. Zur Markteinführung im 2. Quartal 2014 bietet Kopp dem Fachhandel ein komplettes Produkt-Programm: von Licht- und Jalousie-Schaltern bis hin zu Dimmern. Die eigentliche Innovation liegt dabei in der Anschluss-Flexibilität: Zur Installation ist keine EIB-/KNX-Verkabelung mehr notwendig, denn die 230-Volt-Glasschalter begnügen sich mit Standard-Schalterdosen und klassischer, vorhandener Verkabelung. Deshalb eignen sich die Sensor-Glasschalter nicht nur für Neubauten, sondern können auch ganz ohne aufwendige Neuverkabelung bei der Sanierung älterer Gebäude zum Einsatz kommen. Möglich wird dies durch die verschiedenen innovativen Unterputz-Leistungsteile der Schalter. Diese besitzen sowohl einen 2-Draht- als auch einen 3-Draht-Anschluss und sind zudem für Rollladenmotoren oder als Dimmer erhältlich. Damit sich die neue Produktfamilie HK i8 nahtlos in verschiedene Wohnum-gebungen einfügt, setzt Kopp beim Design auf eine schlichte und hochwertige Ästhetik. Die Glasfarbe ist reinweiß, die klare Linienführung wirkt schwebend. Auf diese Weise erhalten die Sensor-Schalter einen modernen Charakter mit zeitloser Eleganz und vermitteln den Eindruck von harmonischer Leichtigkeit. Der Modus der blauen LED-Schalterbeleuchtung ist frei wählbar: Neben „Dauer-Ein“ und „Dauer-Aus“ gibt es auch die Einstellung „Kontrollfunktion“. Diese ist besonders praktisch, wenn der Schalter außerhalb des Zimmers installiert ist. Für die besondere Langlebigkeit der Glasschalter sorgen hochwertige Materialien. Das rahmenlose Float-Glas des Sensor-Bedienteils zeichnet sich nicht nur durch seine Kratzfestigkeit, sondern auch durch eine hohe Bruchsicherheit aus. Die hygienische Oberfläche ist unempfindlich gegen Verschmutzungen und lässt sich bei Bedarf mit haushaltsüblichen Reinigern schnell säubern. Beim neuen Sortiment HK i8 setzt Kopp ausschließlich auf den dreistufigen Vertriebsweg: „Es ist ein wichtiger Teil unserer Strategie, immer wieder spezielle Produkte für den Fachgroßhandel und Elektro-Installateure zu entwickeln“, erklärt Thomas Kolb, Leiter Marketing und Produktmanagement bei Kopp. „Deshalb freuen wir uns, dass Elektrobetriebe ihren Kunden mit unseren neuen Glas-Sensorschaltern in Kürze einen besonderen Mehrwert bieten können.“ Ein weiterer Vorteil für Profis: Die gesamte Produktfamilie HK i8 lässt sich auch ohne gesonderte Schulung schnell und einfach installieren.